Can I be real with you? This statistic REALLY pisses me off. Enough with awareness and pink ribbons. Breast Cancer Action, a nonprofit organization known as “the watchdog of the breast cancer industry” coined the term “pinkwashing.” It happens when a company or organization claims to care about breast cancer by promoting pink ribbon products, while at the same time, produces, manufactures, or sells products linked to the disease. Pinkwashing is more about profits than the cause itself. One of the best examples of pinkwashing was Kentucky Fried Chicken’s “Buckets for the Cure” campaign. For every pink bucket of fried chicken sold, KFC donated 50 cents to Komen. Fast food and fried food are associated with many diseases, including cancer. Then, there was “Promise Me,” a perfume created by Komen which contained toxic ingredients including galaxolide, an endocrine disruptor, touluene, a possible carcinogen and toxic to the liver, and coumarin, which is toxic to the liver and kidneys and used to kill rodents. Then, there was the “Save Lids to Save Lives” from Yoplait, which donated 10 cents per lid. Yoplait is a sugar-laden, chemical concoction laced with hormones all linked to cancer, of course! Are you seeing a trend here? I’m curious how companies who produce “foods” that have a strong correlation to cancer are actually able to contribute to prevention. Another scary find is how Komen has exaggerated the benefits of mammograms. The reality is that mammograms only save one life in 2,000 while they harm 8-10 women through false alarms, missed cancers, and unnecessary surgery, radiation, drugs, stress, and anxiety! The examples above, as well as many others not listed here, show exactly why we need to shift our attention away from awareness and focus on prevention. Incorporate cancer-fighting organic vegetables such as broccoli, beets, and artichokes. Broccoli helps the body rid of excess estrogen, which is important as breast cancer is linked to estrogen dominance and contains anti-cancer compounds carotenoids and sulforaphane. 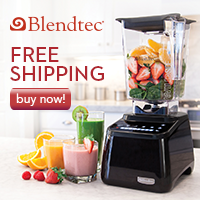 Beets keep the gallbladder healthy and oxygenate cells due to high iron content. Cancer cannot thrive in an oxygenated environment. Artichokes are a liver superstar, loaded with antioxidants and inhibit cancer cell replication. Omega-3 fatty acids, found in wild caught fish, grass-fed meats and supplements (like this.) They fight inflammation, which is said to be the root of all disease. Incorporate chia seeds daily to remove toxins and excess estrogen from the body. Exercise is key in removing toxins and moving the lymph. Infrared sauna use helps to reduce malignant cells in the body. Castor oil packs applied to the breasts are inexpensive and promote elimination and circulation. They also boost immunity and promote healthy sleep. Switch to safe personal care products that do not disrupt hormonal health or include aluminum. Look at your skincare, deodorant and makeup products. 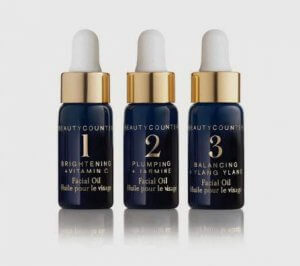 Check your products on the EWG website, shop verified brands (like Beautycounter) or make your own. Drink clean filtered water that is removing hormone disruptors and other chemicals. Avoid contraceptives, consider natural family planning and work closely with a trusted holistic minded practitioner, especially if you’re having issues balancing your hormones or using medications. This subject is obviously quite complex with many contributing factors. 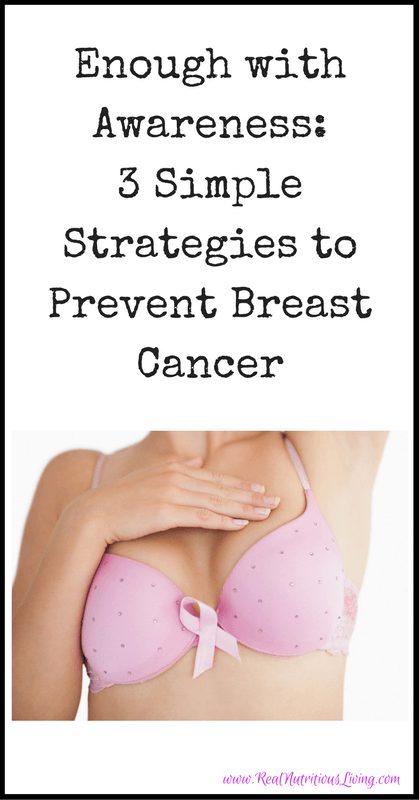 These are just a few ways to support breast health and is not an exhaustive list. It is in no way meant to replace self-exams, screenings, or advice from your medical professional. The best way to use this advise? Pick one thing you know you can do. When you mastered that, pick another and keep going down the list! 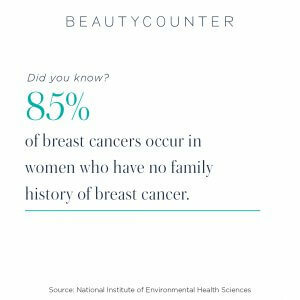 I will come to you or we can have a virtual social where we will discuss reducing breast cancer risk and safe personal care products. Everyone will have fun and leave with new tools to stay healthy. Schedule one HERE! For every Glow and Go set purchased during the holiday season, we will donate one whole set to patients currently undergoing cancer treatments at the UCLA Jonsson Comprehensive Cancer Center (JCCC). Shop One, Share One —featuring the Glow and Go Mini Oils gift set, which includes No. 1 Brightening Facial Oil, No. 2 Plumping Facial Oil, and No. 3 Balancing Facial Oil. Serving 2,000 patients a day, the JCCC is a major source of discovery of the nature of cancer and of the development of more effective approaches to cancer prevention, diagnosis, and therapy. It also delivers medical advances to patients and their families, educates health-care professionals and the public, and reaches out to under-served populations. Shop One, Share One is a great way to support cancer patients and their families this holiday season. We hope you will help us make it unforgettable for everyone involved. Check out this post to learn more about these amazing oils and why I use them every day. My cranio-sacral therapist was just talking to me about how I should be lymph moving around my breasts more – thank you for the great reminders! I will be following these! We have to be so conscientious about it! Thank you Renee! Thanks for all the info! I just recently started learning about pinkwashing – it makes me very upset! You’re welcome! I know, it is so sad. Hopefully focusing on prevention will bring positive change. This is such great info! I agree that it’s crazy that all these big companies go pink or have the ribbon for breast cancer awareness and they are unhealthy products. I didn’t know that about mammograms, so thank you! You’re welcome Jessica! The mammogram info is upsetting and scary! Thanks so much for such a great article, I didn’t know about so much of this. You’re welcome Kari! Thanks for following along! Thanks for the article. I learned a lot ! I’m so glad! Thanks for reading ChihYu! Great article! I’m glad to read that I alreay do many of the preventative things. Thanks! So glad to hear it Cristina! These are such great reminders! I need to be better about dry brushing and I would love to try infrared saunas. Mega bonus of more of those are way less cellulite and glowing skin Emily! Thanks for the info Melissa, always good to read these articles to confirm just how important nutrition and exercise are in helping prevent disease and not just to a maintain healthy weight. Thanks for stopping by Donna! YES, so true! This was a very interesting informative article. I did not know about the bra information. I will have to look at the better bra link. 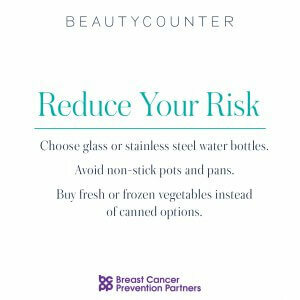 Really great simple and doable tips for preventing breast cancer. I’m so glad I stopped using underwire bras years ago. SO great that you did Kelly! Great info! And yes, keep that lymph moving, especially around the breast area. Thank you for opening up this important conversation. You’re welcome Katja! It’s such a difficult, yet important topic! I love this article so much! Also, I hear it’s great to “fluff the ladies” at night after you take off your bra to increase the circulation with a light massage. Add vitamin D to the list. There’s a strong inverse correlation between vitamin D level and breast cancer, and D has been shown to reduce risk of all cancers. What a great point! Thanks Mike!